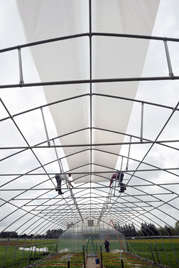 Workers repair a high tunnel used to grow Russian dandelions on the Wooster campus of CFAES’s research arm, OARDC, in this recent shot by CFAES photographer Ken Chamberlain. 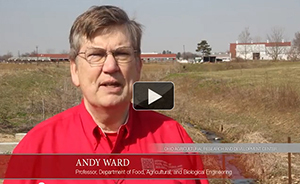 OARDC scientists are growing, studying, and developing Russian dandelions — also called Taraxacum kok-saghyz, or TKS — as an Ohio-grown, sustainable source of natural rubber (video, 2:22). 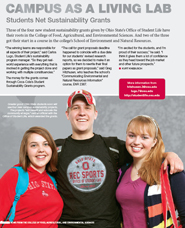 Three of the four student sustainability grants presented recently by Ohio State’s Office of Student Life have their roots in CFAES. And two of the three got their start in a course in CFAES’s School of Environment and Natural Resources. Read more in the latest issue of CFAES’s Continuum magazine (pdf; pages 4-5) and on the Office of Student Life’s website. Money for the grants came through the Coca-Cola Foundation’s Student Sustainability Grants program. 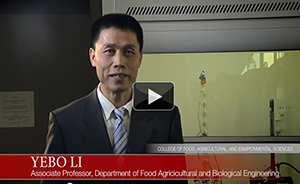 Yebo Li’s work creates new bioenergy and bioproducts, new jobs, and a greener Ohio both economically and environmentally. Read more and watch a short video here. 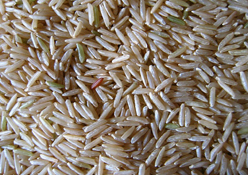 A CFAES scientist has been honored for his work to keep rice sustainable — free of plant diseases and able to feed more than half the people on Earth. Read the story (with link to video). 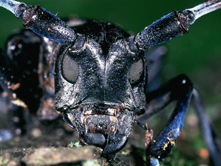 People who manage parks, farms, trees, wildlife, landscape plants, commercial nurseries, and more for a living can get a detailed look at Ohio’s invasive species, including the possible new threats, at a workshop May 17. There’s an early registration discount if you sign up by May 3. The Ohio Woodland Stewards Program, which is part of OSU Extension, which is the statewide outreach arm of CFAES, is the sponsor. Get the workshop brochure here (pdf). 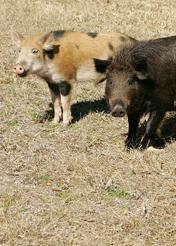 Feral pigs like the ones shown here are now in southeast Ohio. 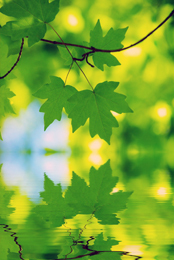 Speaking of trees: Calculate the sustainability benefits of your own trees — in dollars and cents plus gallons of stormwater intercepted, pounds of atmospheric carbon reduced, ozone absorbed, etc. — here. Secrest Arboretum, part of the Wooster campus of CFAES’s research arm, OARDC, is holding a free public Arbor Day celebration tomorrow, April 20. 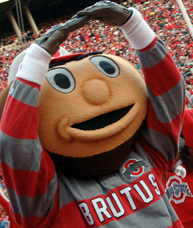 It features the naming of the campus as a Tree Campus USA (Ohio State becomes one of only six U.S. universities to have more than one campus so named; the Columbus campus earned it last year); the planting of oak trees in the arboretum, elsewhere on OARDC’s campus, and on the adjacent campus of the Ohio State University Agricultural Technical Institute, which is also part of CFAES; a guided tree walk; the dedication of a new garden honoring the late OARDC scientist Ben Stinner; and more. Details here.